New Year's Resolutions | FORZA! In a recent article in The Wall Street Journal, A Cheat Sheet for Keeping Resolutions , the author cites research that found the simple act of making a resolution improves your chances of accomplishing change by a factor of 10. The author goes on to give a few principles that have worked for some people in keeping their resolutions. Included among them are: taking things one step at a time, getting help from your friends, and announcing your intentions. In that spirit, I am announcing my intention of keeping an updated blog for my website. Feel free to call me on it when I get too far behind. Another of the principles is to expect setbacks, so I will simply acknowledge my lapses and get back on track as quickly as possible. If any of you would like to use me for the “getting help from your friends” principle on any of your fitness or nutrition goals, please do so. 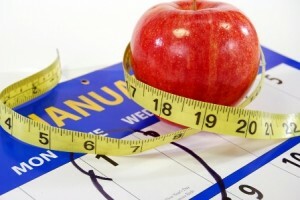 I look forward to working with you in 2010 to help you accomplish your goals for your body and mind. This entry was posted in Goals and tagged New Year's resolutions by Gretchen Falck. Bookmark the permalink.